I haven't been feeling up to taking outfit shots lately. I'm not sure if it's the 10+ pounds of holiday weight I'm still carrying (I swear it's all in my thighs..) or because I'm whiter than Casper the friendly ghost, but either way, this is a fashion blog. So I need to put my money where my mouth is! I might be turning into a crazy animal lady. No, not actually but I can't stop buying clothes with animal prints on them. Dogs, Cats, Horses, Foxes, Birds, Owls - I mean you name it & I'm buying for it. Or at least seriously considering it. I should really just set up a "zoo section" in my closet to put all my furry finds. Are you obsessing over this trend as much as I am? Thankfully everything I've found is budget friendly.. otherwise my veterinarian husband might have to start referring to me as "The Crazy Dog Lady"
I have to keep myself in check with the animal graphics showing up in my closet. I love this shirt. And you totally haven't gained 10 lbs over the holidays! and those shoes! I want them! ahh! I think we're all carrying around the holiday treats still! I know I am. That is clearly why I have been living in sweaters, leggings and boots! ha! First off, you look incredible. If you're carrying ten extra pounds they must be in your purse! Second your shirt and boots are to die for! Super cute. ahhh love this shirt! too cute! i just blogged about being a crazy dog lady myself haha. 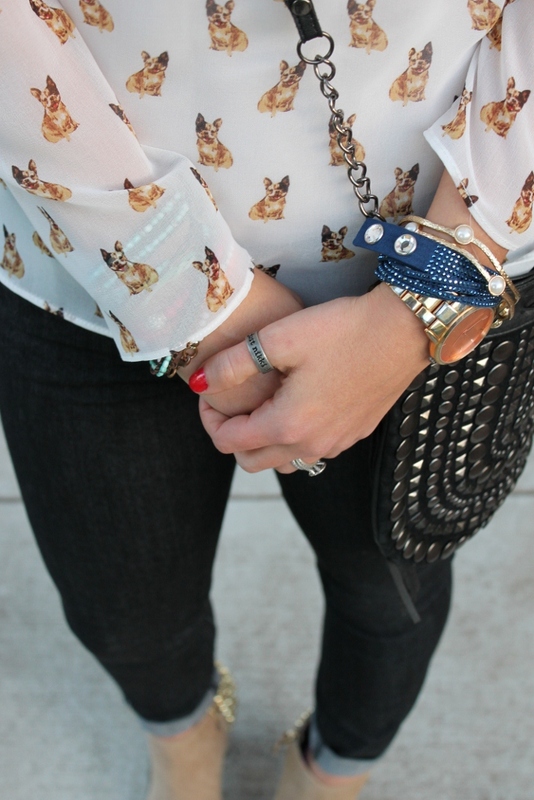 Such a cute top =D The dog print is SOOo adorable =D The boots are so fierce too! So stylish, girl! Such a fun print! And those studded ankle boots are so pretty! This is beautiful! I love the simple factor in this look! I love your top and I also love your dip dyed hair! I loveee the bulldog top!!! I want one! i love anything with animals on it too! how funny would that be do designate a section of closet too it?? ... love this outfit, you look adorbs! This outfit is killer!! The boots, the top, the jeans, love it all!!! Super adorable fringe purse. You are too cute! 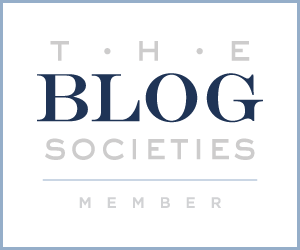 Just found your blog, following you now dear. Love this look!!! That top is too cute & those booties are gorgeous!! What a fun print! Love the bracelets. So glad you FINALLY got the blouse. Looks so great on you and perfect with those booties. Hottie!